For transparency, I am the CEO of Six Month Smiles, a company that manufacturers clear braces for dentists to fit and care for adult patients. While I applaud the innovativeness of companies like SmileDirectClub (mentioned in your article) and Align Technology (that owns a large part of SmileDirectClub), I must agree with Mr. Dillard of the American Association of Orthodontists. Any medical procedure, whether it's moving teeth or performing surgery, benefits from the training of professional, medical personnel, whether orthodontists or dentists. To be perfectly clear, we will not fit a patient without the supervision of a trained dentist and we will only work with dentists who take time out of their busy calendars to attend training programs to ensure their knowledge and ability. Beyond this we offer treatment planning by orthodontists and other support services to our providers to guide them confidently through each case. It is for this reason that patients who come to Six Month Smiles have universally had such good experiences and we owe that superior performance more to the dental community that fits and cares for our mutual patients than to ourselves. If the dentist or orthodontist chooses clear aligners, conventional wires and brackets or Six Month Smiles clear braces, we are committed to that decision being made by a dentist or orthodontist, and the patient. Simply stated Six Month Smiles believes in Dentistry by Dentists. Eliminating the "middle man" can be painful and expensive for consumers. ADA discourages DIY orthodontics through resolution. Meet the disrupters putting a new twist on orthodontics. Think DIY braces will fix your smile? 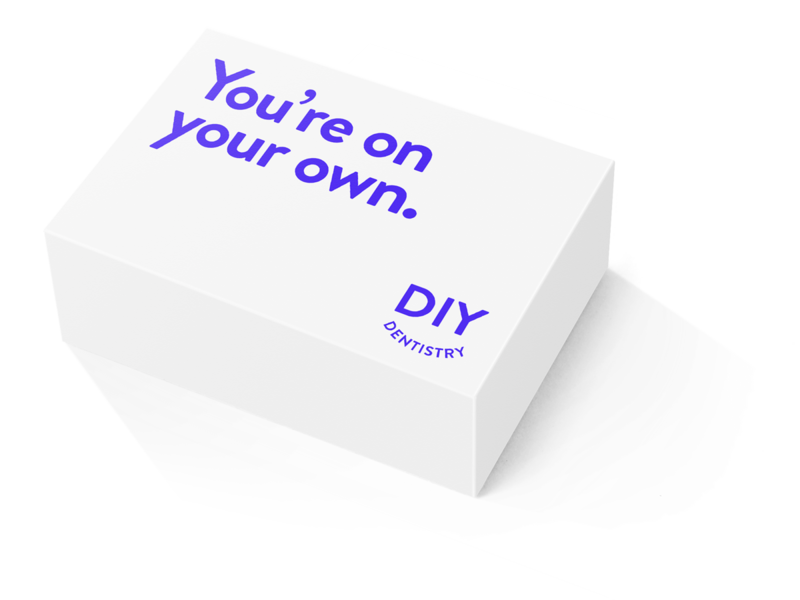 Startup says yes; orthodontists say think again.